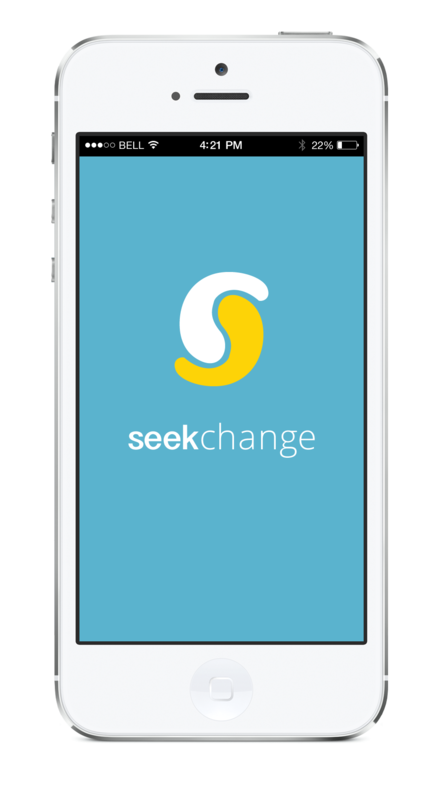 I was approached to create a complete identity and design an iOS app for a wellness startup called SeekChange. Their goal was to give users a boost in emotional and physical wellness through education, mini-games, and mental exercises. They had defined some user personas and had a few ideas for a logo, but beyond that, they were looking for complete design and branding concepts to be created by me. The client designed the user flow themselves. Once they had finalized that, they presented me with a flow chart. My task was to design a mobile application that encompassed all pages. Their team developed the application using my mocks and launched the app in the App Store for iOS. The app can be downloaded here. I began the process of creating an identity by having an identity session with the client. I asked them about their business goals, values, target users, and more to dig deep into the core values of the company. I internalized the user personas they had created and researched that demographic. I sketched many logo ideas on paper as I was doing this research. Once I had a good idea of the typical user, I sifted through the logos I had sketched to narrow the choices down and refine those even more. I presented a few options to the client, which we talked through together. Once the logo, colors, and font choices were decided upon, I created a style guide before beginning to flush out designs for business cards, marketing collateral, and more. For the iOS app, the clients provided the user flows in the form of wireframes. I took the wireframes and created mocks for each screen using the style guide, colors, and general design style I had begun to lay out in the style guide. I worked closely with the client to make sure the style and functionality met their expectations, making edits as needed. When the mocks were finished, I presented the package of screens to the client. They were happy with the result, and took the screens to build the app themselves.